John Michael’s zest for life is matched only by his passion for the jewelry that makes his clients’ faces light up and their lives aglow with happiness. He has been in the business since 1986 while he was just in his early 20s. The family owned and operated business in Cape Coral prides itself on professional, personal and friendly service, and offers a wide selection of all types of jewelry. 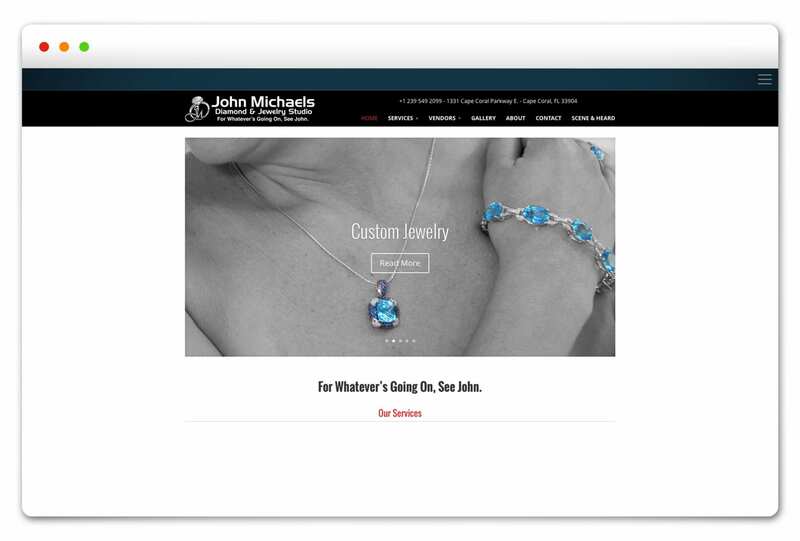 A friend of the Agency referred John Michael to us in early 2015, and since then The Brand Architects® at Spiro have designed and developed the business’s website and ads, and continue to provide ongoing social media management.